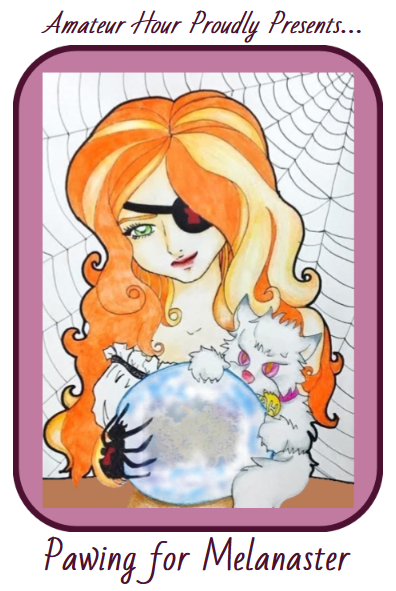 Puzzle Pirates Forums - View Thread - Widow Queen: AH tells ye, "Check Meowt!" Forums » List all forums » Forum: Obsidian Parley » Thread: Widow Queen: AH tells ye, "Check Meowt!" The first real blockade of Obsidian was held. It marked a spike in activity on this ocean and sparked a year of back-and-forth blockading, tons of weekends of fun, and a lot of wealth being redistributed to those who came out to puzzle. Amateur Hour was there from the start, and it only seems fitting that Amateur Hour will be there for the last blockade of the year, to give a suiting end to an eventful year of blockades and to give our jobbers a nice end-of-year bonus! Due to the events of recent weeks, the BK has dusted all shoppes on Melanaster, leaving the island void of any shoppes. As it's a large island, 10 shoppe plots will be available, and we'd like to announce what we intend to do with them. Taxes-wise, we will turn them down to 0% and keep them at that level for as long as the island is under AH control. 4 - For the first three weeks of AH ownership, every Monday we will announce a free-for-all (any pirate, crew or flag on the ocean may partake) event to win a shoppe of choice. These shoppes will be built immediately at the conclusion of said event. Should Melanaster stay in AH's hands for a fourth week, we will do one more free-for-all event. 2 - Two shoppe plots will be initially left open to give further incentive for Melanaster to be blockaded by other flags at a later date, to keep the kade scene active and alive. 1 - AH intends to raffle off one shoppe plot. Tickets prices will be reasonable and limited. More details to come at a later date. 0 - Zero shoppes will be reserved for Amateur Hour, as we will not build flag shoppes on Melanaster. That's it! We hope to see you there! For any further questions, feel free to contact any of our royals in-game or on Discord. Ye have traded: your soul. So no plans to rebuild any shoppes won in events? Specifically those run independent from any flag/alliance or those that have used 100% of profits to run ocean wide events? Prosperity auto-responds, "be back in 5". Prosperity has been idle for 10 minutes. There's 2 shoppes available for you and Julie to get your shoppes when GW recover and attempt to win Mela. Hi there, Im the one that asked the question. Are you speaking on behalf of AH? Hi there, I?m the one that asked the question. Are you speaking on behalf of AH? Hi I do not speak on behalf of AH. Amateur Hour looks forward to an exciting blockade at Melanaster today! MYSTERY BOX INFO - Dec. 15th!